Masaba, Inc. has been a leader in the production of high-quality heavy equipment for a wide range of industries since 1939. Masaba designs and fabricates a complete line of aggregate processing and mining equipment. Along with its rugged conveyor line, Masaba manufacturers hoppers, surge bins, portable crushing, screening and wash plants and will custom build to fit almost any application. Wheeler Machinery Co. is proud to offer an extensive selection of Masaba equipment for the mining and aggregate industries. 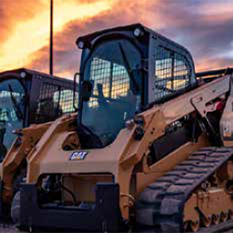 As one of the most respected and reputable heavy equipment providers in Utah since 1951, you can count on us to carry the latest, most advanced Masaba products on the market that will increase your operation’s productivity and lower your costs. You will also have access to the top-notch customer service and support that has been the hallmark of our company for more than 65 years. Our selection of Masaba aggregate equipment includes Magnum telescoping conveyors that provide a range from 130 to 190 feet. All models include Masaba’s patented Track Technology for safe, efficient operation in even the most demanding work environments. Portable Crushing Plants: Masaba crushing equipment provides a fast, efficient solution for the reduction of various material types. Masaba portable crushing plants give you a mobile alternative for your field operations. All Masaba crushing plants feature a solidly constructed quad-axle stepped-frame chassis for maximum durability. You can find a portable crusher that’s the perfect choice for a single-crusher operation, jaw crushing or secondary crushing applications. Screeners: Masaba screening products make the separation of materials a smooth and seamless process. You will experience maximum screening output while maintaining uniform sorting. Easily accessible controls make things simple for machine operators, resulting in increased productivity. 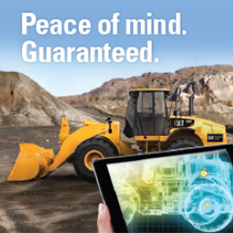 The rugged design and construction will ensure long-lasting service and reliability. The Masaba screening lineup also includes portable plants that provide the advantage of mobility — but without sacrificing performance or precision. The heavy-duty tow hitch ensures safe road and job site transportation. 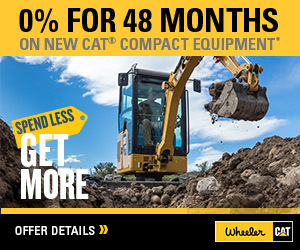 Our years of experience and unmatched expertise make Wheeler Machinery Co. your best source for all Your Masaba mining and aggregate equipment needs in Utah. We understand the unique challenges your business faces, and we can recommend the right machine for the task. Our knowledgeable sales staff will take the time to ask questions about your applications and help you find the right product at a competitive price. Flexible financing is also available to make your purchase more affordable. We’ll also be there to provide comprehensive service after the sale. Our team of skilled technicians and support personnel will perform timely preventive maintenance and repair work to keep you Masaba crushing and screening equipment on the job. We also carry an extensive selection of replacement parts and the convenience of online ordering. We invite you to stop by the Wheeler Machinery Co. branch in your local area for a closer look at our Masaba equipment selection. You can also give us a call at 801-974-0511, or contact us online for additional product and pricing information.